As mentioned earlier in our previous post, if your iPhone is more than 2 years old, it is recommended to have its battery replaced for several reasons. 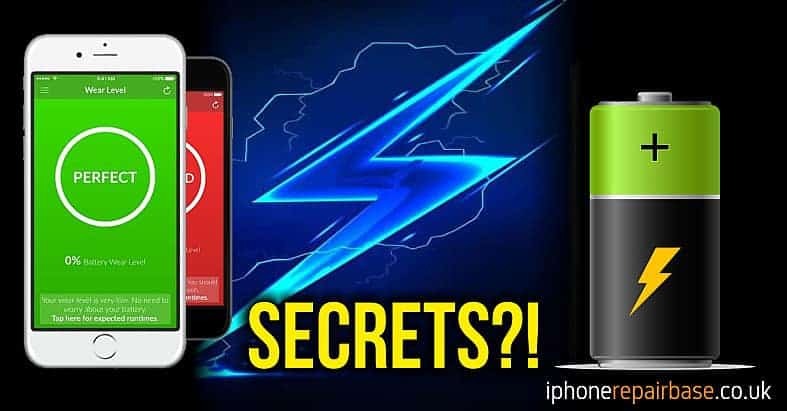 One of the reasons is that the iPhone software slows down the operation of the phone as soon as it detects that the battery is getting old. The other reason is that the iPhone will be discharged sooner, and sometimes it will switch off even when it is still 30% charged. Many have taken their iPhones to a service point to have the battery replaced. In the last couple of weeks, we heard a lot of complaints about phones that were not getting faster after having their battery replaced. Sometimes, after the replacement the iPhone gets depleted even faster than with the original two or three years old, used battery. The explanation for this is very simple. 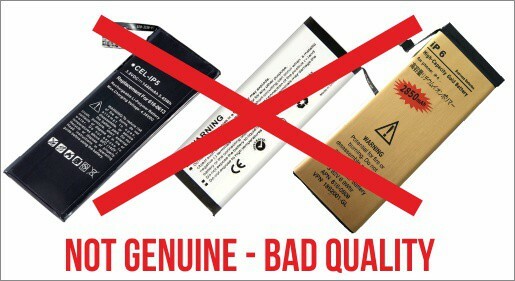 Some repair companies use very poor quality batteries that were manufactured in China, using inferior quality materials. The other problem is that, unfortunately, there are companies who take used batteries, reset their cycles, then re-pack and sell them as new ones. 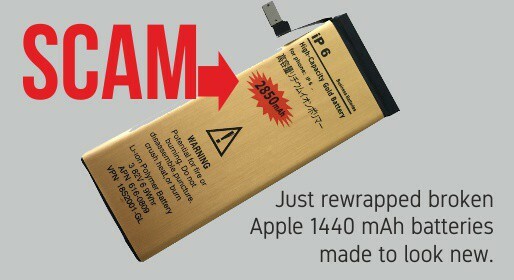 There are iPhone owners who buy those suspiciously cheap batteries on the internet (eBay, Amazon, etc) and replace them themselves. Many of them notice after the replacement that the phone is discharging faster than it did with the used battery, and the back plate of the phone is warmer than usual. The capacity of these new batteries is in many cases lower than that of the 2 years old used but original Apple batteries. Original battery with Apple logo and Apple label. These batteries are dangerous because they have inferior quality soldering and will short circuit easily, and can damage the phone’s components, such as microchips, resistors and capacitors on the mainboard. Replacing these parts is very costly and can only be done in special repair shops. 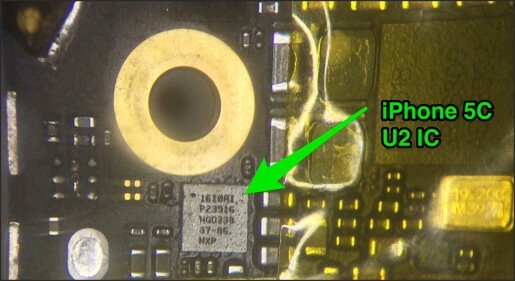 A charging chip replacement is usually £50–90. If the charging chip has already been damaged due to a poor quality battery or adapter, as it was written here, we can replace it with a short deadline at a low price. These cheap batteries usually swell and start to heat up in a few months. The swollen battery pushes the display from the inside, and as a result, the display bends, and then breaks. An iPhone screen replacement costs between £30–100. Poor-quality battery (from eBay) after 2 months of use. There are sellers who offer dual-capacity batteries online. These batteries do not have the capacity indicated on them, and in most cases, they do not even reach normal capacity. 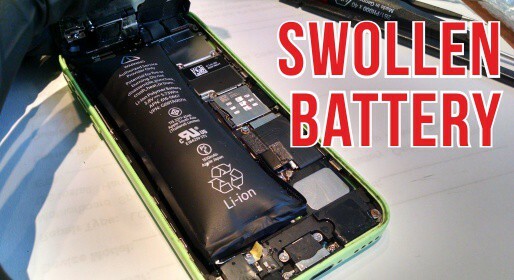 Why use an inferior quality and unsafe battery in your expensive iPhone? 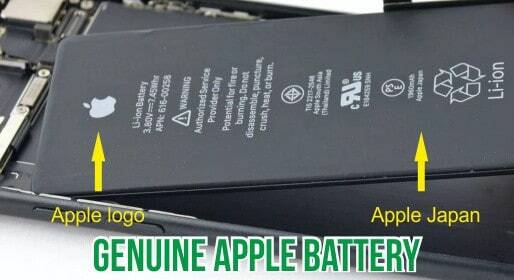 The batteries we use are genuine Apple batteries with a one year warranty. Their capacity is bigger, their lifespan is considerably longer than what cheap, low quality batteries can offer and besides, they do not damage your phone. Yes, it’s a nice article.